Lots of people assume that all TED talks are the famous 18 minutes long, and think that's plenty short enough. But in reality, the lengths of popular talks in this style are getting shorter and shorter. At least one TEDGlobal speaker I've worked with tells me that 14, rather than 18, minutes is the limit under discussion. But far shorter are the two-minute talks given by innovators featured in TEDMED's The Hive, bringing them to the main stage. And in my coaching outside of proper TED conferences, many clients are asking for me to work with speakers to develop five-minute TED-style talks. Conference organizers can get more content included and more speakers featured--and better speaker engagement. At TEDMED, the two-minute talks served as short introductions to these entrepreneurs and innovators, who would be spending most of their conference time in The Hive, a space for meals, discussion, side events, and exhibits. And the short talks did the trick, encouraging participants to meet and mingle with these entrepreneurs. The shorter talks were early in the program, to encourage interaction over the course of the conference. Audience attention spans are getting shorter and shorter. 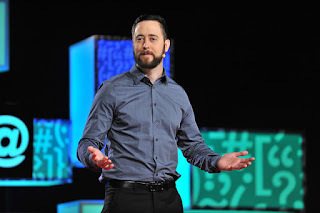 After six years of coaching at TEDMED, I find my foot tapping impatiently 15 minutes into any talk, even a good one. TED and TEDMED helped bring our talk-attention-span to 18 minutes, but they've always included a range of talk lengths, because the variety matters to the audience. And those short talks are some of the most popular in the TED portfolio. Speakers get a high-impact opportunity that's more likely to be heard--and listened to--in a wide variety of settings. If you think of talks as your introduction to the audience, rather than a catalog of everything you know, the shorter talk makes a lot of sense. A short talk can have just enough in it to get those donors, investors, supporters, and fans seeking you out for more after the session. And if you have a well-learned five-minute talk in your back pocket, you can speak at a moment's notice, at a wide range of events. Use a two- or five-minute talk to open a Q&A session or town hall; speak at a reception; introduce a day of conference talks with a theme; and more. Trying to fathom what's in a two- or five-minute talk? Use the speechwriting standard of 120 words per minute for a well-paced talk. That means two minutes equals 240 words, and five minutes equals 600--just a page of text, double-spaced. The trick is to work that script until it's polished like a jewel. Then you'll see just how much you can fit in that compact space. Need some good role models for these shorter talks? Go here and click on 2016 Talks to see the full collection of TEDMED's two-minute talks from entrepreneurs in The Hive. Check out this post with links to the work of clients of mine who've asked me to coach short five-minute TED-style talks. And go to TED.com, where you can check out this collection of talks that are 6 minutes long...or less. And if you need to coach to guide your speakers toward shorter talks in this style, email me at eloquentwoman AT gmail DOT com. Get involved in more conversations on public speaking with The Eloquent Woman. Follow our Facebook page, read great quotes from eloquent woman on Pinterest, follow me as @dontgetcaught on Twitter or track when others tweet about the lack of women speakers on programs via @NoWomenSpeakers. Learn how to be a better panel moderator with The Eloquent Woman's Guide to Moderating Panels.